It’s an event no construction management team or overhead crane operator ever wants to see happen: while the crane is in operation a worker unknowingly walks right underneath a load while it is being lowered and gets crushed by its weight. Unfortunately, this type of tragedy happens too often; and such accidents can be prevented by everyone’s adhering to strict on-site rules. 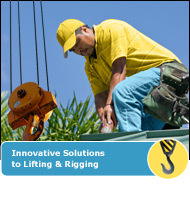 If you are a crane operator or supervise a construction site where an overhead crane is in regular use, you understand that this type of machine creates unique risks to workers anywhere in the vicinity of operations. OSHA as well as other safety watchdogs recommend and even require compliance with specific basic safe operations protocols: here are 10 of the most important ones that apply to operators. Overhead cranes are valuable machines on many work sites: following basic safety rules will help ensure a job well done as well as the health and well-being of your construction crew. ProservAnchor Crane Group (http://www.proservanchor.com/) designs, builds, installs and services custom overhead crane systemsfor a variety of critical industries.